For years the bulldozers have been encroaching. And finally they are here – waiting. Why is the Queensland Government disregarding the traditional custodians and even their own imposed processes professed to manage cultural issues? … refuse to respect the rights and customs of the traditional landowners and making out there is no way around this? Rocky Ridge aka the Gympie Pyramid site has never been adequately or publicly explained in terms of its origins in a world history context – it just hasn’t. I cannot talk for the Kabi people. They are doing a fine job of that themselves. I can only talk from the perspective of an interested historian – an outsider at that being also white & English. 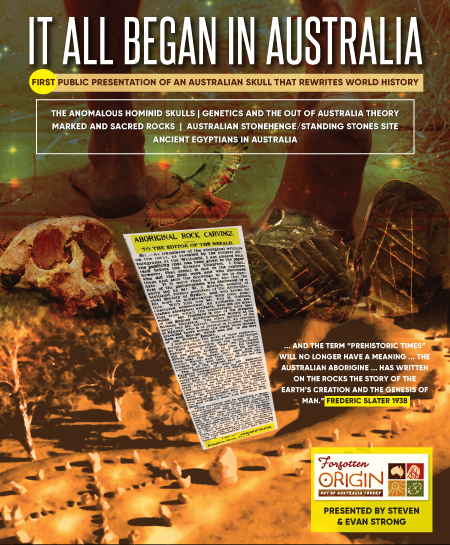 The Gympie Pyramid site is known throughout the world as a potential site of significance in a world historical context among the non-mainstream as well as for its Aboriginal context. This is mainly due to it having that name. Pyramid conjures up scale and grandeur beyond what lies there now and likely the site was never what most would consider a true pyramid. But since pyramids of differing styles and antiquity crop up in so many countries and continents it draws wide interest from many disciplines which Wikipedia like to neatly call fringe theory, pseudo archaeology / history, conspiracy theory or whatever it takes to keep the status quo. By all accounts – if you disregard the Kabi peoples’ story entirely for a minute and only consider this in terms of contemporaneous or pre existing examples – the site, at least, consisted of terracing with retaining walls, which may in places, have had the appearance of a step pyramid. 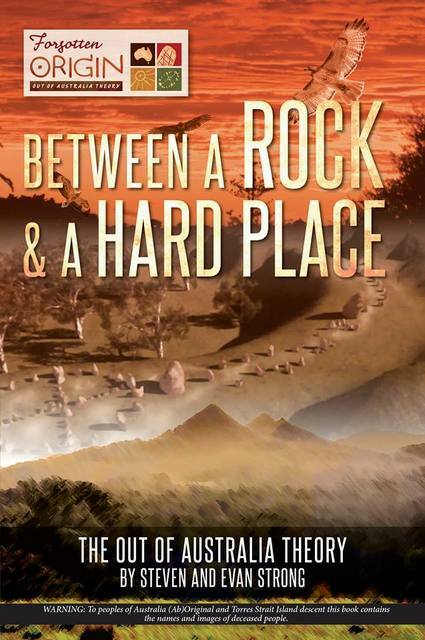 There is other circumstantial evidence regarding megalithic structures on top of the site, artefacts from that area, tunnels, the gold signature of Gympie, etc etc, but in general, terracing seems to be agreed in all sources so lets just say it’s that. In Wikipedia this terracing is explained as the work of Italian farmers. Terracing and/ or step pyramids have examples in other countries in other eras of course. Places with similar stonework. And that’s the real problem – the stonework. So if the terraces ever were reminiscent of a step pyramid consider this. When Perry proposed this (above) Australia is notably missing – but nonetheless surrounded by similar sounding examples of construction. 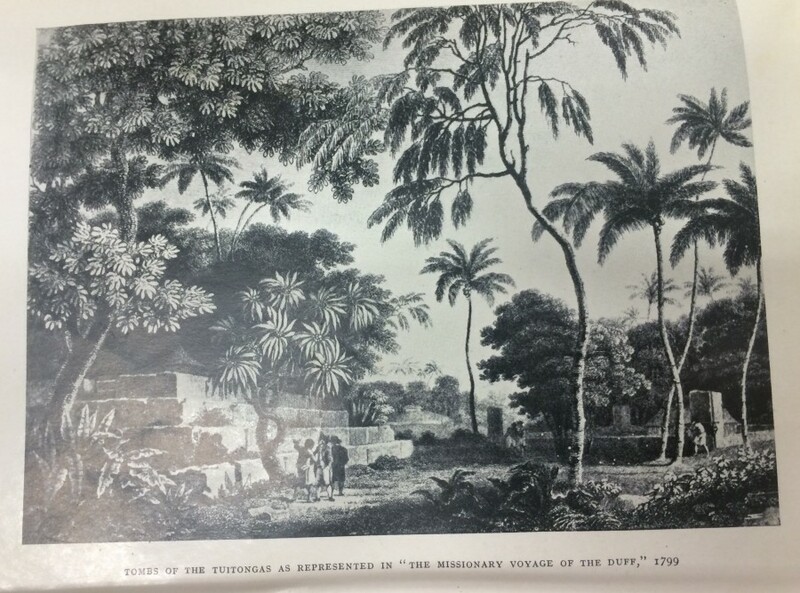 In 1799 only 11 years after Australia was colonised this image (below) from the Tuitongas shows a stepped or terraced structure. According to the Wikipedia the Tui Tonga empire mainly spanned 900 CE – 1500 encompassing parts of the islands outlined in red above. It also mentions Cook witnessed their ceremonies in 1777 and offers they could build canoes to hold 100 men. Just one of the fallen empires and epochs that made these forms. But let’s just ignore this avenue shall we, and besides we could look much further back. According to several local sources some of the stones from the Gympie Pyramid site were removed by returning servicemen. 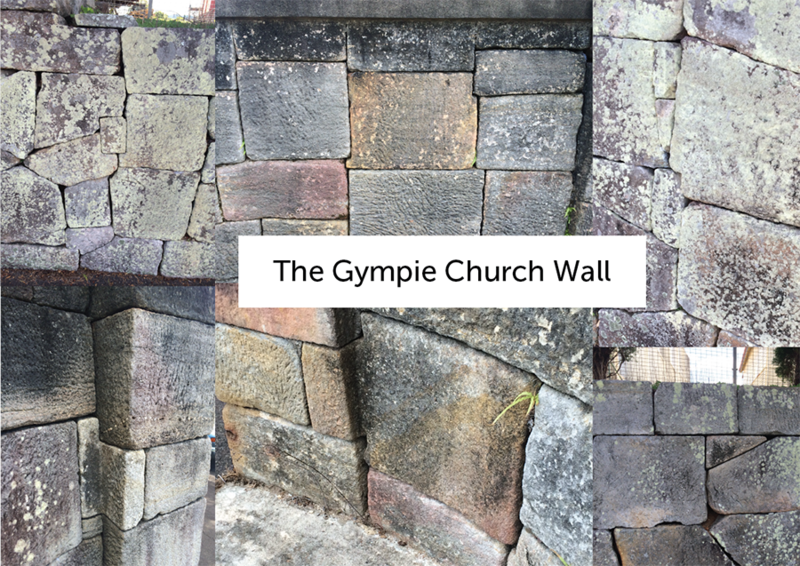 The stones were used to construct retaining walls surrounding the church in the centre of Gympie and at the school – possibly other places. 1937. Notice the types of shapes. Notice that working stones into these shapes takes more skill and effort and thought than to build a regular stone wall. It appears that large sections of these stones were numbered and replaced like a jigsaw to maintain some of the stoneworks’ original integrity and method from the original site. This type of construction and variants of it are consistent with methods used throughout the ancient world in times and places spanning thousands of years and miles apart to varying degrees of precision and execution depending on the culture / era. More recent structures do not necessarily reflect a higher degree of skill. The Pyramids at Giza are testament to that with the Great Pyramid – the most sophisticated being attributed by orthodox Egyptology to the 4th Dynasty. 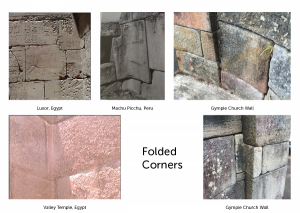 Notable examples of similar polygonal stonework are found in Egypt – in multiple pre dynastic and dynastic locations, Cusco & Ollantaytambo – Peru, Delphi – Greece, Easter Island platforms and many other places. See later images. But these seeming cultural influences, correlations and inheritances are typically written off as the result of great minds thinking alike to solve the common issues. One of the most cited is earthquake or some other natural disaster defense such as tsunami. Suggestions of contact and visitation between certain cultures at certain times is still a very difficult subject to tackle for the weight of resistance against it and the vast areas of history to be understood. 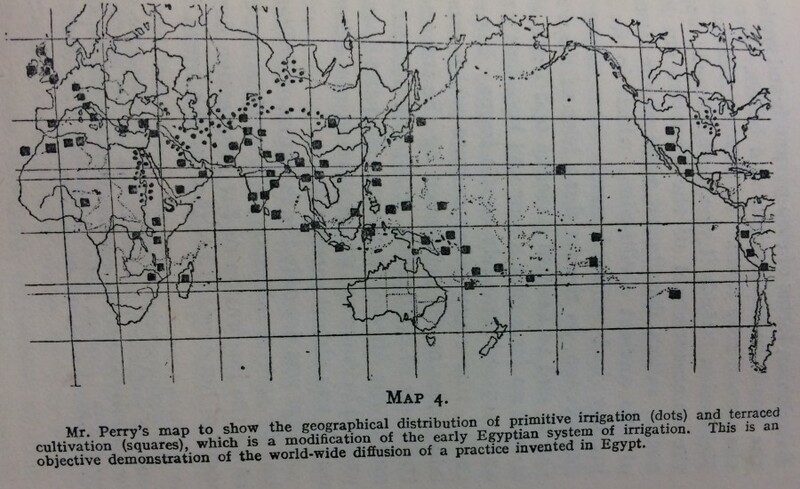 You can see in the example above that the remnants of the TuiTonga Empire were in existence when Cook came to Australia and there is record – but we cannot apparently entertain that Egyptians came to Australia because it was just too long ago, too far or that Aboriginals could have also made that journey. But I’m just trying to focus here on the stones. Remember how the first time you got a brand new jigsaw together its so precise the pieces almost click together – but when you use a well loved second hand one it’s got more give or wobble because the pieces have worn? This is the overall fit of the church wall – precise yet not precise. Not the kinds of joins you can see at Cusco where not a razor blade can be pushed in – but complex nonetheless. Local sources I have spoken to say this relief labour was returned servicemen. 1. 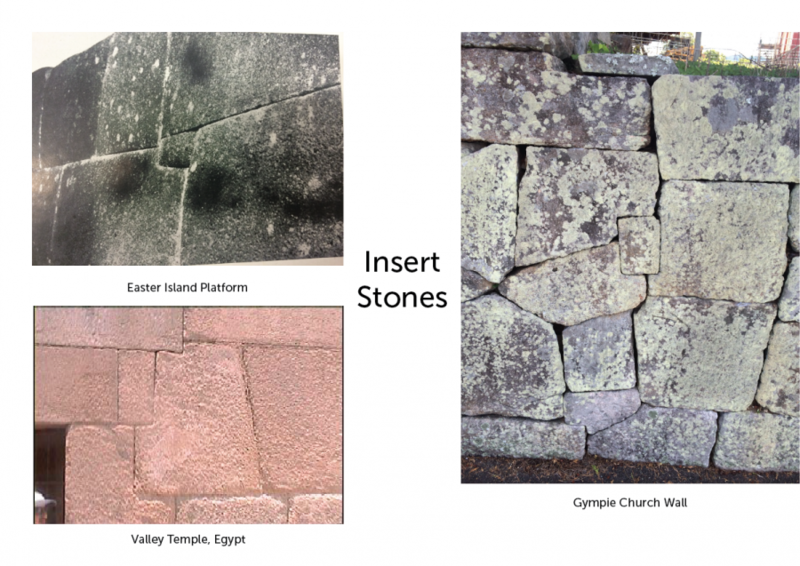 Why did the stone-masons use this method, (at the Church & the School), comprising non uniform/ compound angles and inserts, using “donated”stone to emulate an ancient method not apparently replicated anywhere else in Australia but replicated with a high degree of similarity in many other places and times some in the islands of the Pacific? 2. 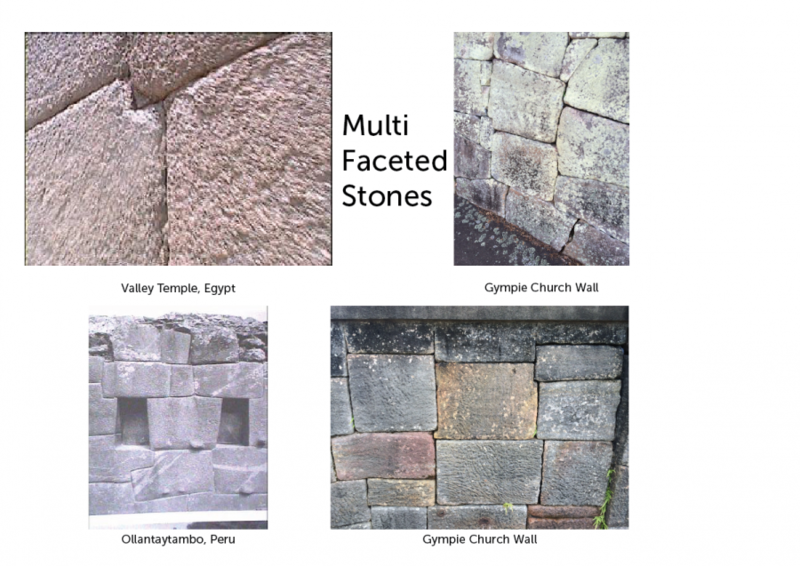 Why does the Church & School retaining wall have examples of folded corners, multi faceted stones and inserts; details which are easily argued as functionally unnecessary in this application but which, with varying complexity, are demonstrated to occur in Egypt, Peru, Easter Island, Greece and at other ancient ceremonial and sacred sites spanning thousands of years? 3. 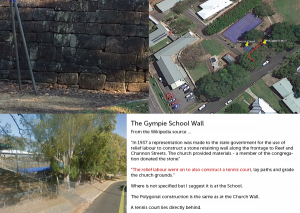 Why are the only examples of this type of construction in Australia found in Gympie? 4. Why entrust this task to create a wall of this type to essentially unskilled labour /volunteers? 5. Why is it not in keeping with the architecture of the church? The church was rendered and the lowest price agreed. And then when the retaining wall is added a decision to use unskilled labour to build a complex design? 6. Why, having gone to such effort to carve such accurate polygonal stone work from the donated stone, would it now look poor in execution compared to say Cusco or Egypt after less than one hundred years? 7. Could it be that many of the adjoining edges were roughly handled on carts in transit from the original site? 8. That maybe they were already old when they were moved? 9. Can you show me any examples of polygonal farmers walls from Italy or Europe that approach this kind of complexity? 10. Would it not be easier to re-purpose an existing retaining wall – one that has demonstrated its efficacy over time and turns a skilled job into a less skilled yet organized job; in the way that the great pyramid casing stones at Giza were plundered after a great earthquake to construct other structures in Cairo? 11. And if those stones did come from the Pyramid site – then who made that? 12. Was it Aboriginal? Was it a shared site? Over how long and why? 13. And what remains there now and below the surface to now be destroyed? 14. Is it not completely reasonable to suggest that Gympie was visited for trade and or ceremonial practices by other people’s in pre colonial times almost certainly in peace – and that that could date back thousands of years. 15. 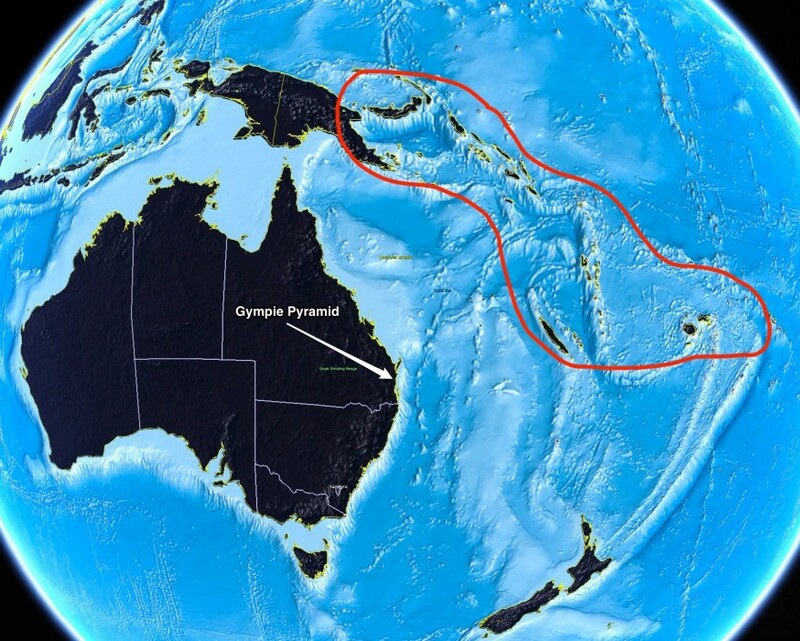 Why is there a military base now where another Pyramid was said to have been pushed into the sea – Tin Can Bay, or was that where the stone came from? 16. If the stone masons were showing off their skill in the 1930’s (as is sometimes offered) it would be somewhat ok to go to this Polygonal effort for a place of worship – but for a tennis court? That would only make sense if the stones were already these shapes – so who made them? The questions and points I raise here are not intended to cause any cultural offense to the Kabi community or First Nations people– moreover I have been communicating in as honest a fashion as possible. Wirritjin. In my view it’s highly likely that at some point that site was a shared site – with pre colonial visitors. Is that really the reason why we are not allowed to explore the true history of this place? Is this really why there appears to be only lip service paid to the Kabi’s requests since the 1970’s? To deny what is sacred to them, to deny these other connections, deny people their own history without any desire to understand it? Is this what Australia has become now? 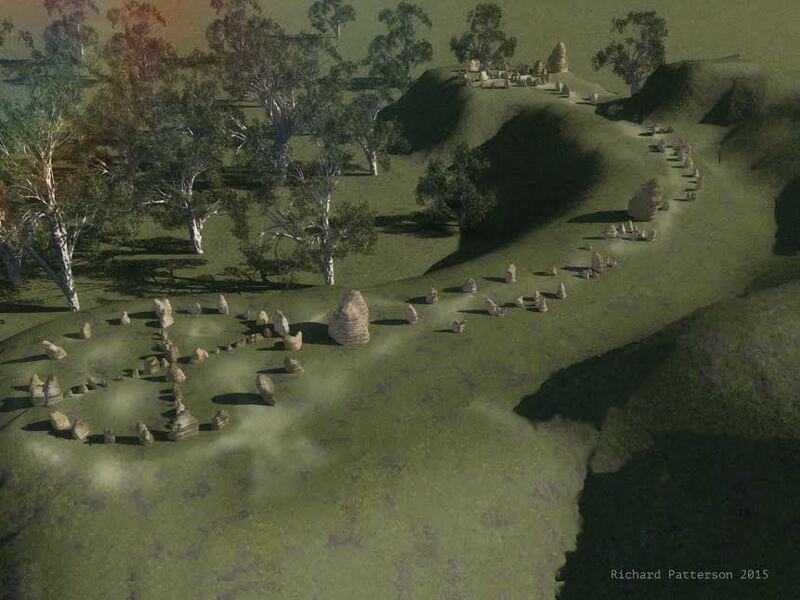 The Gympie Pyramid site and their stones are jigsaw pieces within a jigsaw on a worldwide scale which is being denied in all our heritages and you are failing everyone. 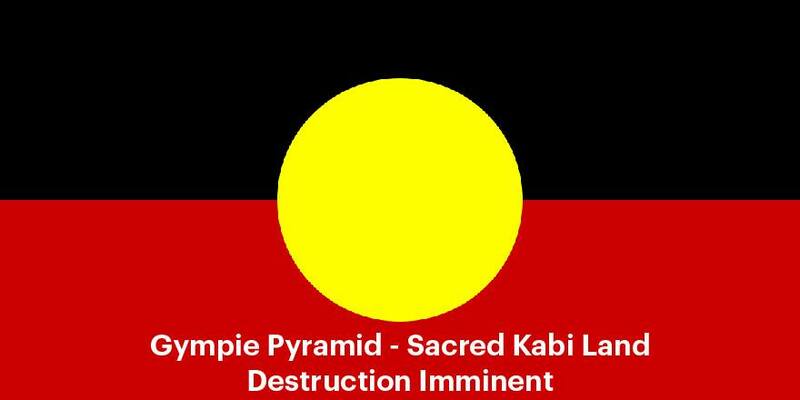 In allowing this construction to pass through this site, without its true significance having ever been collaboratively investigated with the Kabi people, even if they are willing, is a complete travesty and on the eve of “Australia Day” here we are again fighting the same thing over and over. It is OUR history – collectively. It is not enough to say that you will report any finds – bulldozer archaeology doesn’t work. Please recognise what you are about to allow to continue. It’s shameful. Why are we still having to ask these questions in 2019? “We are asking everyone who wishes to help prevent the destruction of our sacred site to email Minister Bailey, and the QLD Attorney general also, and any federal or state politician, archaeologist or academic you may know who you think may help. After so many years of fighting for this Kabi sacred site to be preserved, to no avail, when preservation of the site is something, which should happen automatically by law, we are at our wits end. Thank you to Seven News and thank you everyone for your support. Minister for Transport and Main Roads. 1 William Street Brisbane, 4000. The significance of any kind of stone structure that predates British colonization is remarkable.. The simple fact there are almost no known large scale stone complexes anywhere in australia that predate British colonization makes the gympie pyramid site something unique to australian history.. the church wall is well documented as having been taking from one site and moved to another.. the design of the wall is not unique other walls exactly like this exist in other areas around the world and many experts are unable to explain the complexity of their construction.. ask any stone Mason to build a similar wall from similar materials with today’s tools… it won’t happen cheap if it’s even at all possible.. if we can’t replicate it easily today.. how did they accomplish it back then? Questions that threaten mainstream historical views.. but questions we can no longer ignore.. I hear you, great questions, logical questions. As a critical thinker and a big picture thinker I reckon you’re spot on with your theories gents. Can ABC get involved to save the stones? Could Rex Gilroy get a petition made up so we could all sign it. This is a criminal act to destroy this sacred land. The destruction of this site, before it has been fully investigated ,is a complete disgrace . it seems fully logical that this could well be part of a very significant pattern of ancient building. Do not let it be destroyed. Australian Federal and State Governments have allowed Fracking here, Cubby Station to continuously steal water from downstream farmers, what makes anyone think they care about our history any more than our ground water, River health, food production and public health! Unless you can get a massive public outcry on the coming destruction of this site in record time, the Governments will ignore you. Oh and so will the Main Stream Media…. For the Queensland Govt or the Federal Govt to turn a blind eye to this destruction is unforgivable… How can we stop it….What about approaching the World Intennational Heritage or whatever their title is?? Hello dear Valerie – At the end of the article (just above) you will find links to the emails of the 2 key decision makers that need to understand what they are about to allow to destroy. I urge anyone moved by this information and appeal to write to Mark Bailey and Yvette D’arth. You can show your voice too by lending support to the Kabi on their Facebook page. 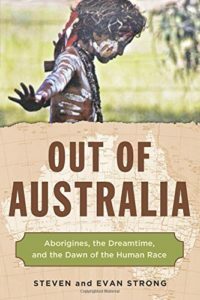 A history of our people, not just the aborigine, but all, and you plan to bulldoze it? Children..